3 piece die set. 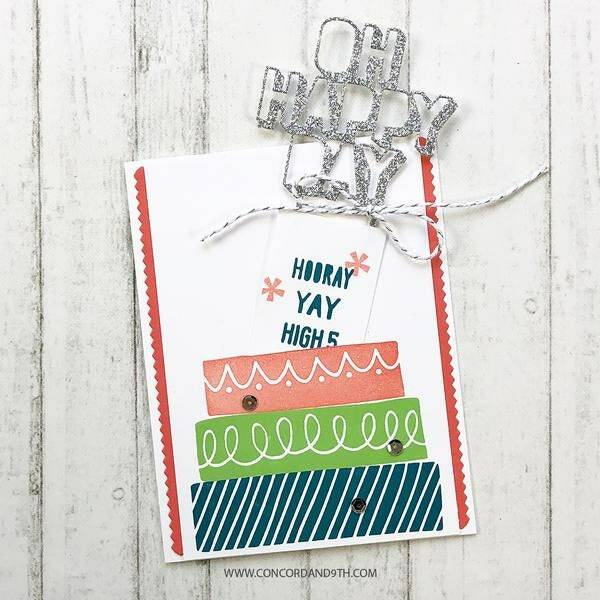 Coordinates with Top It Off stamp set. 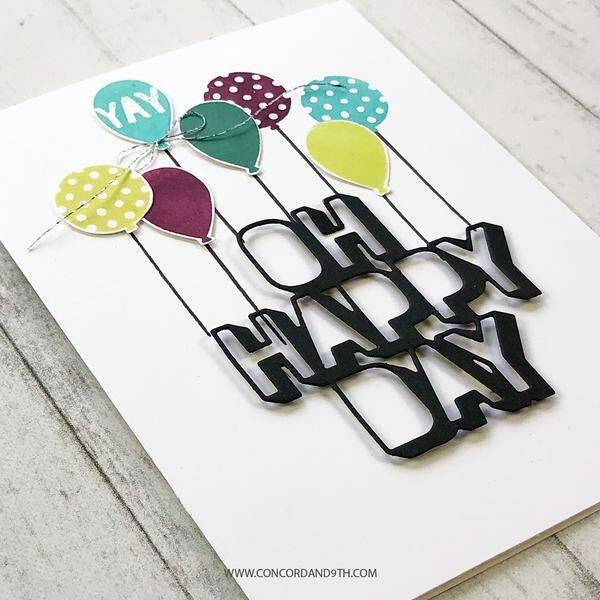 Die cut these bold sentiments with glitter paper, or emboss them in gold to really stand out! You can also clip off the sticks and use on their own! BUNDLE with Top It Off stamp set! 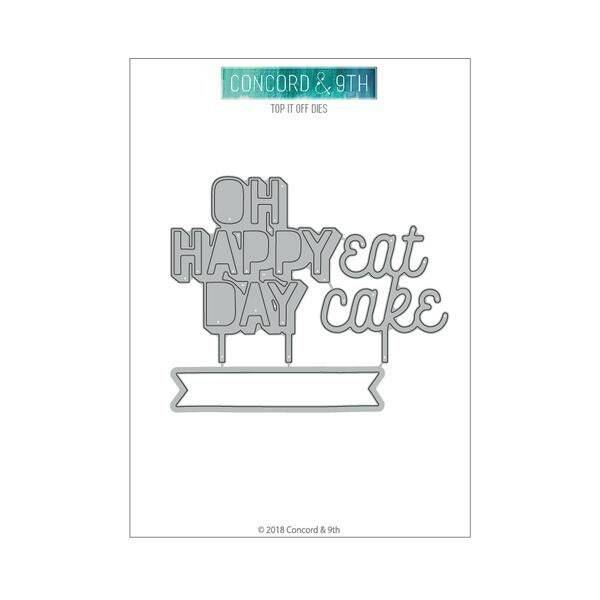 OH HAPPY DAY = 2 7/8" x 2 3/4"
eat cake = 2" x 2 1/4"